It was so quick to prepare and bake, and was really tasty! 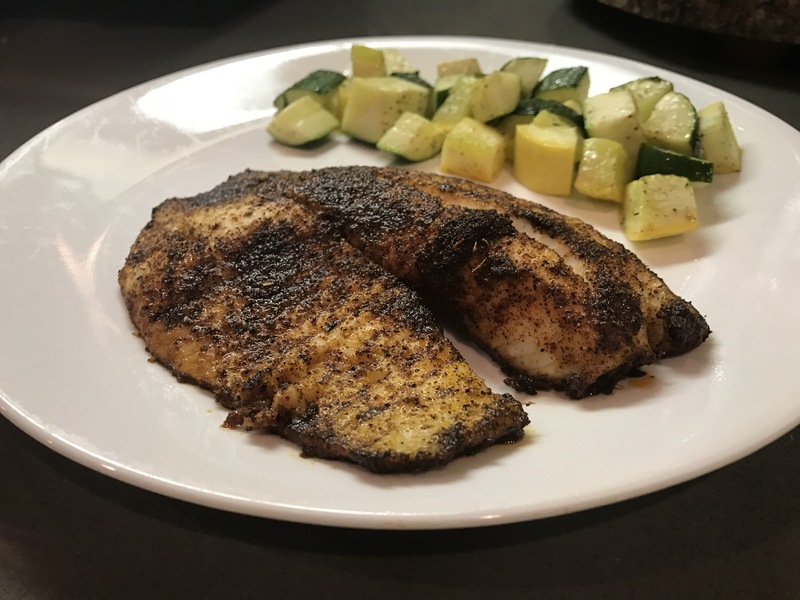 Just picked up some tilapia at the fresh market at our grocery store, brushed some ghee and seasonings on it and baked! Done! I think it will be a repeat around here! It was good leftover on a salad with too! Add all of the spices together in a bowl and mix. Melt the ghee and brush over your fish on both sides. Bake for 7 minutes on one side, the flip fish and bake 7 minutes on the other side. 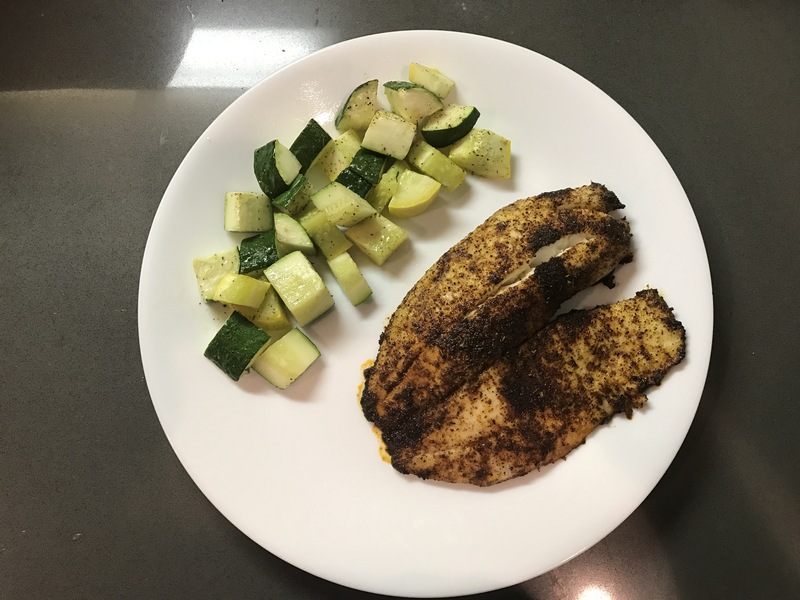 The original recipe has sliced zucchini around the fish on the same pan, but I had about 6 slices of fish to bake (wanted leftovers!) so I did roasted squash and zucchini on a separate baking sheet. Hope you all enjoy!